The Dekati® Axial Diluter DAD is a simple and cost-effective dilution tool that can be used as a stand-alone unit or as a part of other aerosol sampling and dilution systems. 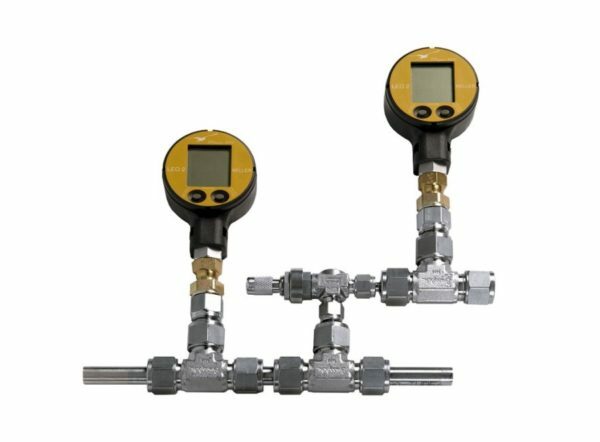 The DAD is especially designed for use with Dekati Fine Particle Measurement Instruments and applications where low consumption of dilution air is a requirement. 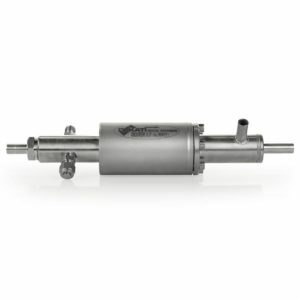 The Dekati® Axial Diluter is made of stainless steel which allows the use of the DAD also in high temperature applications up to 500 °C. 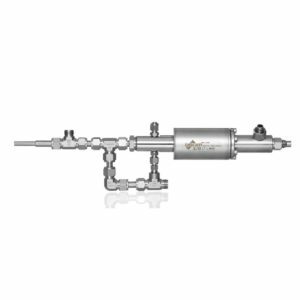 The operating principle of the Dekati® Axial Diluter is based on axial dilution of the sample in which the dilution air is introduced as a ‘sheath flow’ around the raw sample. One of the advantages associated with this type of dilution is very low particle losses for all particle sizes. The amount of sample drawn by the measurement instruments and the flow of dilution air need to be known accurately to calculate the dilution factor. If the DAD is used together with Dekati® Fine Particle Measurement Instruments, the amount of drawn sample is accurately known and can be found in the instrument specific data sheet. The DAD is always delivered with a calibration certificate and a calculation sheet to calculate the dilution factor in different measurement conditions.